A superhero origins story, Batman Begins kicks off the trilogy with an engrossing and cerebral character-centred experience. 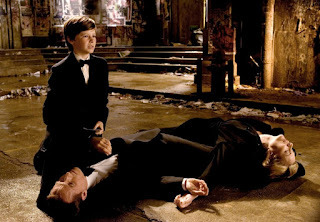 In Gotham City, a young Bruce Wayne has a traumatic encounter with bats, then witnesses his parents' murder during a mugging. Wracked by guilt, Wayne (Christian Bale) abandons his family's wealth and heads out into the world, living a life of squalor and crime. Dumped into a remote prison in Central Asia, he is rescued by Henri Ducard (Liam Neeson), who oversees his combat training and inducts Wayne into the League of Shadows, an organization of elite warriors led by the mysterious Ra's al Ghul. Once Wayne learns the League's real agenda, he abandons them and returns to Gotham to fight crime on his own terms. With help from long-time family butler Alfred Pennyworth (Michael Caine) and Lucius Fox (Morgan Freeman), head of the Applied Science Division at Wayne Enterprises, Bruce gradually adopts the crime-fighting persona of Batman. He keeps his mission a secret from childhood friend Rachel Dawes (Katie Holmes), now an idealistic Assistant District Attorney. Wayne embarks on a quest to both reclaim control of Wayne Enterprises and rid Gotham of corruption, starting with violent crime lord Carmine Falcone (Tom Wilkinson). He recruits honest police lieutenant James Gordon (Gary Oldman) and uncovers a vast psychotic drugs conspiracy involving psychologist Dr. Crane (Cillian Murphy), a villain known only as Scarecrow, and an unexpected powerful mastermind. A big screen reboot of the Batman mythology, Batman Begins is an exquisite effort from director and co-writer Christopher Nolan. 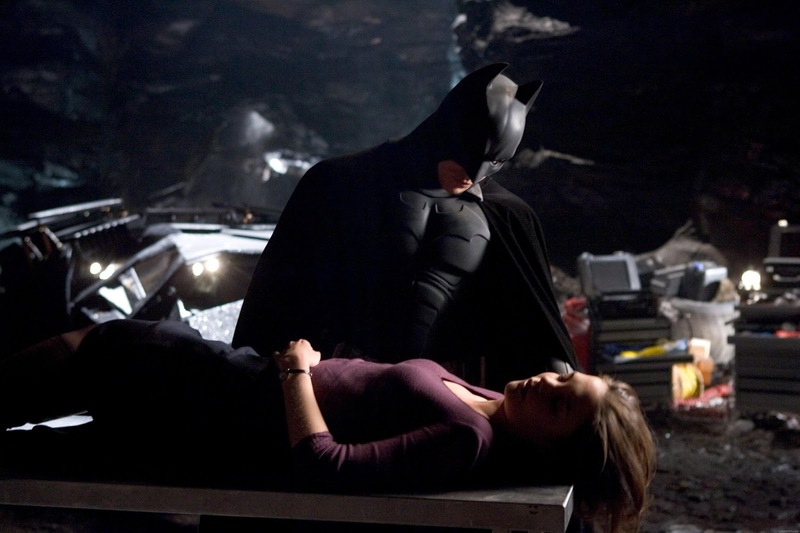 Committed to a surprisingly bright palette and an emphasis on people rather than action, Nolan creates a seminal example of what a smart comic superhero adaptation can achieve. Batman Begins first and foremost engages the mind and forgoes cheap thrills, and the origins story goes a long way towards grounding the film in the person of Bruce Wayne rather than the antics of a man in a costume. The 140 minutes are surprisingly brisk, and despite some jumping around in time Nolan tidily breaks down the narrative into three parts. The backstory is the longest and best, rich in the details of a young Bruce experiencing the trauma of being trapped in a well, triggering a close encounter with bats, with a direct line from that experience to the death of his beloved parents. His formative years are then scattered on a life in search of any meaning in the company of other lost souls, until the intervention of Ducard and subsequent training as an elite warrior. The second act focuses on Wayne defining his mission in life, buttressed by Alfred and supplied by Lucius on his way to assembling the raw material for what makes a Batman. Both Alfred and Lucius carry echoes of the past with strong links to the legacy of Bruce's father, and a large part of Batman Begins' appeal resides in the continued multi-generational commitment to do right. The finale is what can be expected, the true villains making themselves known and triggering an opera of mayhem with Batman improvising on the fly to save his beloved Gotham. On the way to the transition Nolan has plenty of fun providing backstories to everything from the Batcave to the Batmobile, with detours to explain the origins of the suit, the mask and the emergency light signal. This is a true beginnings story, and nothing is left undefined. 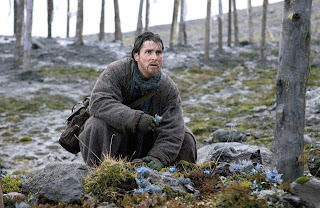 Christian Bale slips into the role comfortably, displaying enough emotional depth to play up the emphasis on the individual rather than the role. Michael Caine, Morgan Freeman, Liam Neeson, Tom Wilkinson, Rutger Hauer (a slimy executive at Wayne Enterprises) and Cillian Murphy ensure that every key role is bolstered by a serious talent boost. Only Katie Holmes is overwhelmed, with a difficult, underwritten role and an unconvincing performance. Batman Begins is a storytelling masterpiece, a fascinating crime fighter finally receiving his deserved high quality big screen production.